The 100 Season 4 Trailer, Release Date, Spoilers: The promo for “The 100” season4 is going to be released today anytime soon. The writers of the TV show announced this news on Twitter. Aaron Ginsburg, the executive producer of the hit post-apocalyptic series also said the same. “I guess the word is out,” Ginsburg said. The showrunners have been teasing the “The 100″ trailer release for some weeks now. A few days ago, the EP had stated that they have been handcrafting every single frame.” According to him, the time has been perfecting the trailer so that the fans get the best of it. It seems that the team is working on it since the third week of November. It’s because the EP had started teasing it since then. Now, the wait is almost over. Related: Shameless Season 7 Episode 12. About the trailer of season 4 of The100, writer Kim Shumway was pretty much excited and said that he watched the picture locked promo and he enjoyed it to the fullest. As per the news and reports, The 100 s4 is going to be the darkest and most brutal installment of the hit series so far. 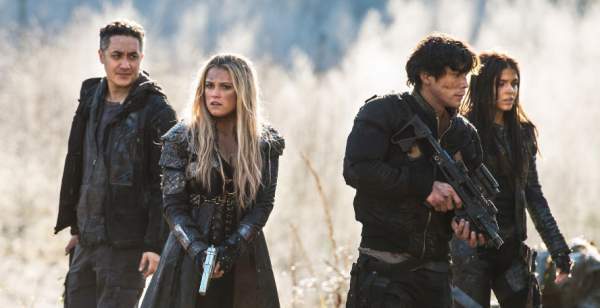 The new and upcoming installment will make fans capable of checking back in on Clarke and the group when they fight to survive the nuclear apocalypse. It seems that the battle this installment is to make sure to live to see a new day instead of stopping the cause of it. The planet Earth has been turned against them. Moreover, it appears that there is some big reveal coming up with Octavia with the crew going so far. The makers are prohibiting to take pictures of her on the set as they may prove to be spoilers. There are rumors which suggest that she is pregnant come The 100 season4. Adding to it, the speculations are of the favor that she will have a new love interest in the new installment too. However, it seems difficult to be believed as Octavia was on a killing spree of those who were involved in Lincoln’s death. In whichever way you take, some big reveals are coming up in the upcoming season. The100 season 4 will release/air on February 1, Wednesday at 9 pm ET on the CW.